This post is an excerpt on the discussion that happened on the Test Tribe Group on “How many think Testers should be a little more technical and what bare minimum technical/programming concepts one should know. We compiled the list of tools and technologies a Tester can focus to improve their skills. Sundaresan Krishnaswami The tester has to have at least an elementary programming knowledge with a fundamental understanding of how software is built and run. If you haven’t learned to program, start small and learn continuously. Nish Ant Testers should be full stack testerNishant Pawar With time it has become a necessity to become more technical. Monitoring production logs especially after deployments has benefits of its own. And if the tester does it regularly then there is a lot they can discover through those logs. If as a tester, you are not yet doing production deployments then I suggest you to start doing it and make sure to check production logs (or logs on other environments for that matter). If for some reason, you do not own deployments then try to spend at-least one short session for monitoring your application’s production logs, every day. That’s what I mean by “Monitoring session”. Poonam Khomane Tester should be Technical and logical. It will help to explain issues or bugs. Just a few generic points not related to any domain in particular. Shrinivas Kulkarni One of my favorite – tester should know how internet works? Amy Azazel As a tester one should gather as much as knowledge possible for whatever one is working upon. There isn’t any minimum technical or programming concept one should learn. Rather it should be let’s learn and explore as much as possible. Hamza Bhamla It’s not just about technical but even now is the need for them to able to work on the management part too. 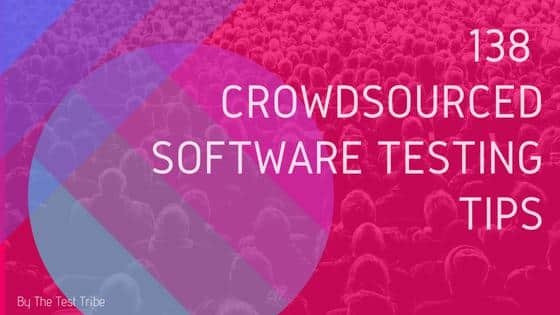 Just as technical understanding would help the tester understand the product a little more from developer perspective, the knowledge of management skills would help them make use of proper time estimation techniques, rtm, criticality matrix and even create it accurately if needed. Below are the things which I think a Technical Tester should be doing(List is what I could think of while I wrote. There can be surely more). Will you guys mind adding more to this list or suggesting if something should be removed? Knows Different types of Testing. Knowing those at core I mean and not just being limited to one tool. Remember, if the use case / understanding is clear, one objective may be achieved using many tools. By architecture I mean, what all technologies are used to form the complete application. What exactly each of those is doing. In what way they are connected to each other. When a business user initiates a request, how the entire request-response flow works. Understands the logs, or at least tries to understand. There are several ways like Google the exception or error, past experience, asking a developer and remembering, making logical guess while reading and cross checking with Dev if your understanding was correct. Questions himself/herself why particular issue is occurring while using all the logs available(front end, backend, web server logs, DB logs) whenever possible berore routing to Dev. Same can be done in parallel if urgency demands. Requests overview of how the new feature is getting developed. Helps Dev to further assess impact area, better approach, etc. May not be a expert coder but if situation demands can code. More the better here. Always thinks of how to automate basic routine stuff. Something as simple as Build deployment or Executing Automation suite. Thinks of innovative approaches to test and still follows set process. Does research about the new technology/jar/upgrade being taken and looks for information on open issues. Also on its compatibility with remaining Tech stack. Understands the value of automation, and decides what to automate and makes sure it is being automated right. If not fluent, decent with Database queries and is ready to learn on demand. Remember knowing everything is best but knowing basics/nothing and being ready to research as needed is ‘human’. Probably repeating, but an understanding of different types of Testing. For example, Security Testing. It’s ok if you cannot hack or find critical Vulnerabilities. But at least test for basic flaws like other customer data in export, URL tampering, open admin pages, easy guess passwords, XSS wherever you can, etc. Knows how to use browser developer toolbar for different purposes like checking response, request, response time, 404 errors, etc. Whats your list of tools and technology any Tester should know? Disclaimer: We have tried our best to keep the comments from the contributors as original as possible.